Call to Order Introductions Guest Speakers - Ric McGee & Dave Hodgson Treasurer’s Report Road Manager’s Report Corn Roast – August 26, 2012 Website update. 6 1. 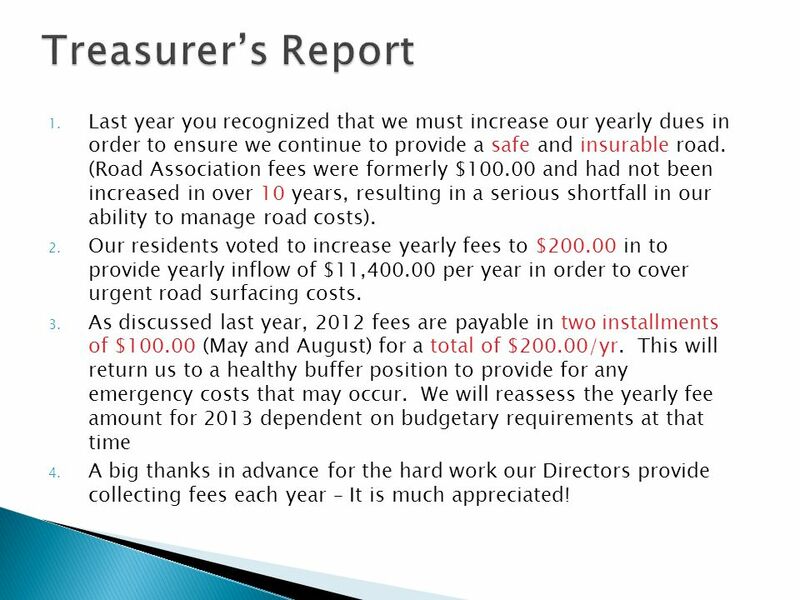 Last year you recognized that we must increase our yearly dues in order to ensure we continue to provide a safe and insurable road. 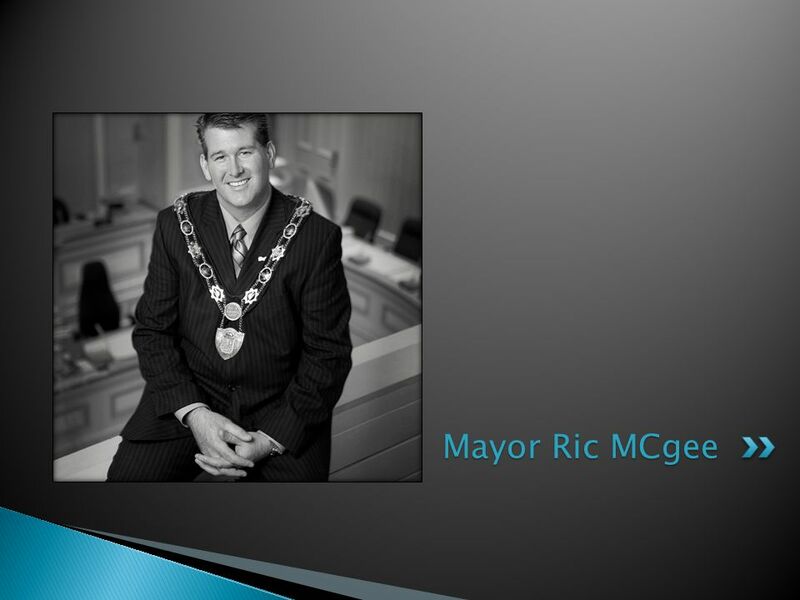 (Road Association fees were formerly $100.00 and had not been increased in over 10 years, resulting in a serious shortfall in our ability to manage road costs). 2. 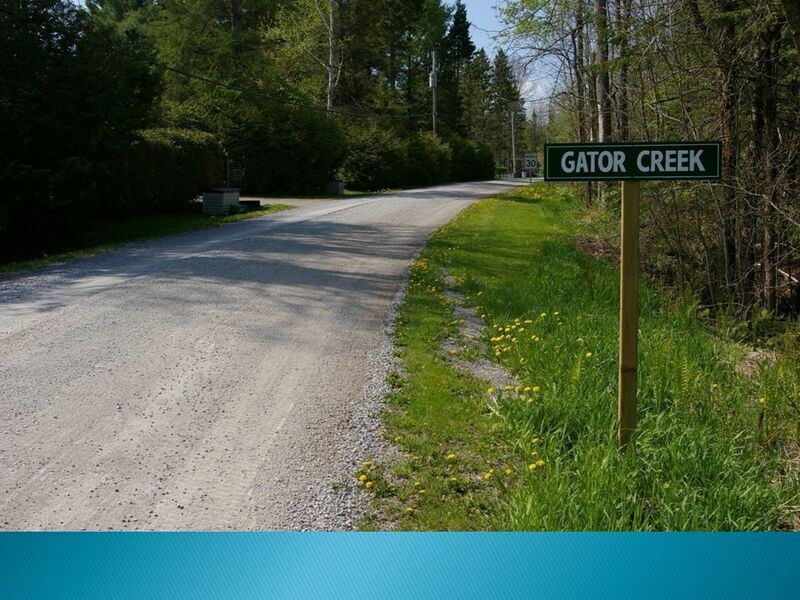 Our residents voted to increase yearly fees to $200.00 in to provide yearly inflow of $11,400.00 per year in order to cover urgent road surfacing costs. 3. 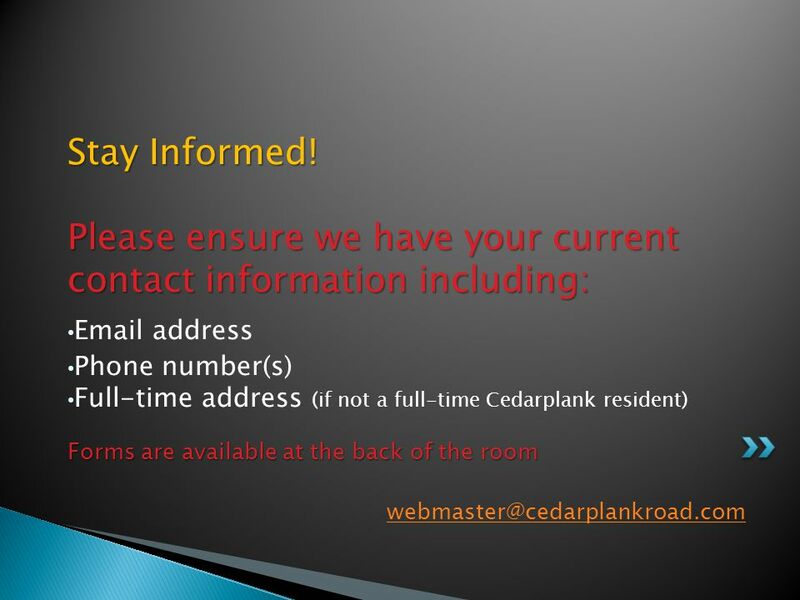 As discussed last year, 2012 fees are payable in two installments of $100.00 (May and August) for a total of $200.00/yr. This will return us to a healthy buffer position to provide for any emergency costs that may occur. We will reassess the yearly fee amount for 2013 dependent on budgetary requirements at that time 4. A big thanks in advance for the hard work our Directors provide collecting fees each year – It is much appreciated! 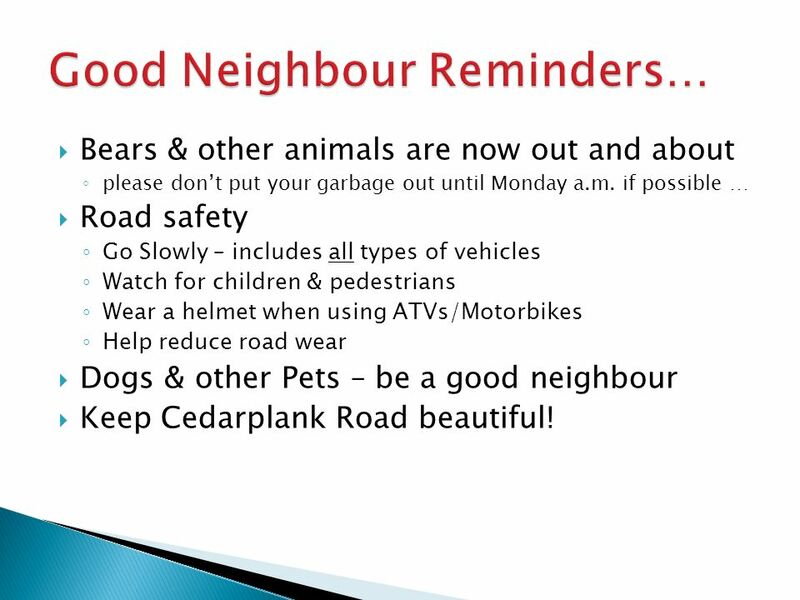 11  Bears & other animals are now out and about ◦ please don’t put your garbage out until Monday a.m. if possible …  Road safety ◦ Go Slowly – includes all types of vehicles ◦ Watch for children & pedestrians ◦ Wear a helmet when using ATVs/Motorbikes ◦ Help reduce road wear  Dogs & other Pets – be a good neighbour  Keep Cedarplank Road beautiful! 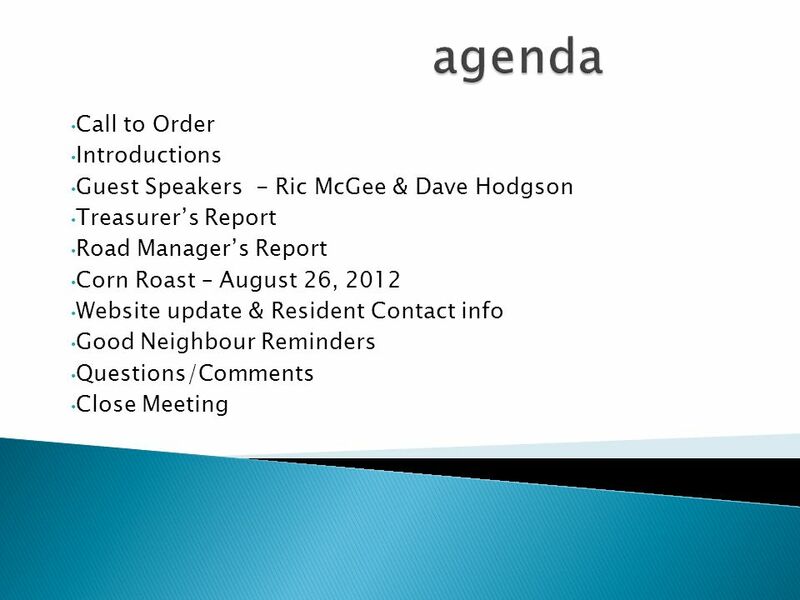 Download ppt "Call to Order Introductions Guest Speakers - Ric McGee & Dave Hodgson Treasurer’s Report Road Manager’s Report Corn Roast – August 26, 2012 Website update." 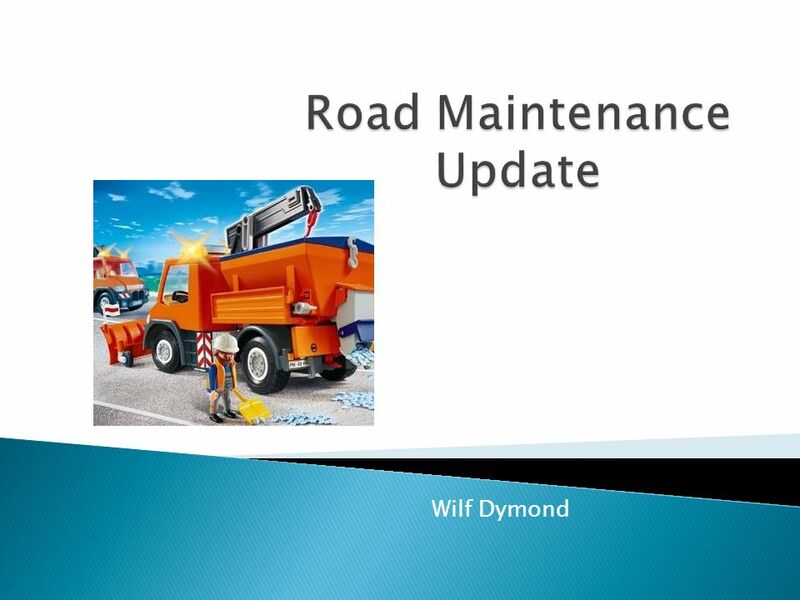 Calais Darrell December 15 th Introduction Road safety is very important, and that is what this power point is going to tell you about. It will. Marlboro Township Neighborhood Watch P.O. Bernadette Peter. Sovereign Waters Lake Management Plan Outcomes and Recommendations 9 May 2013. 1 Annual Meeting 1/27/2014. 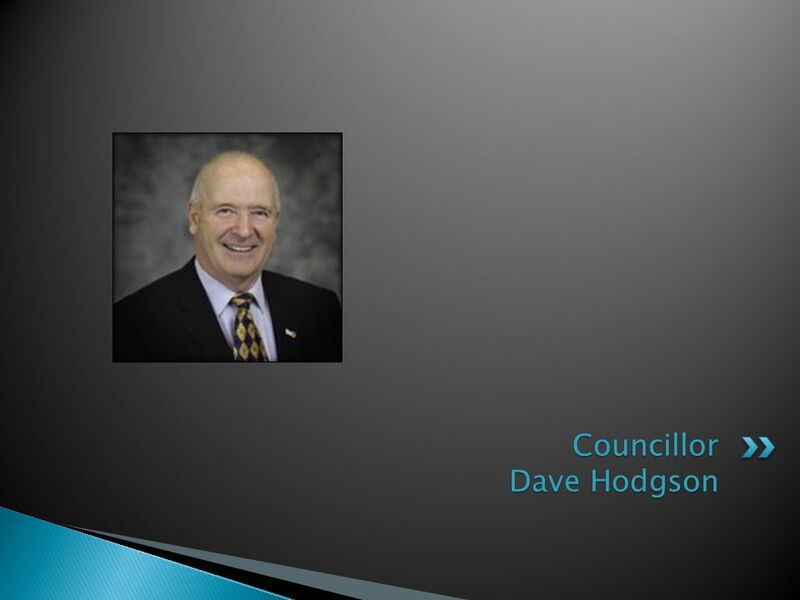 Agenda  Welcome  Responsibilities of Board Officers  Nominations  Treasurer’s Report  State of the HOA  2013 Accomplishments. Annual Meeting 1/30/2013. 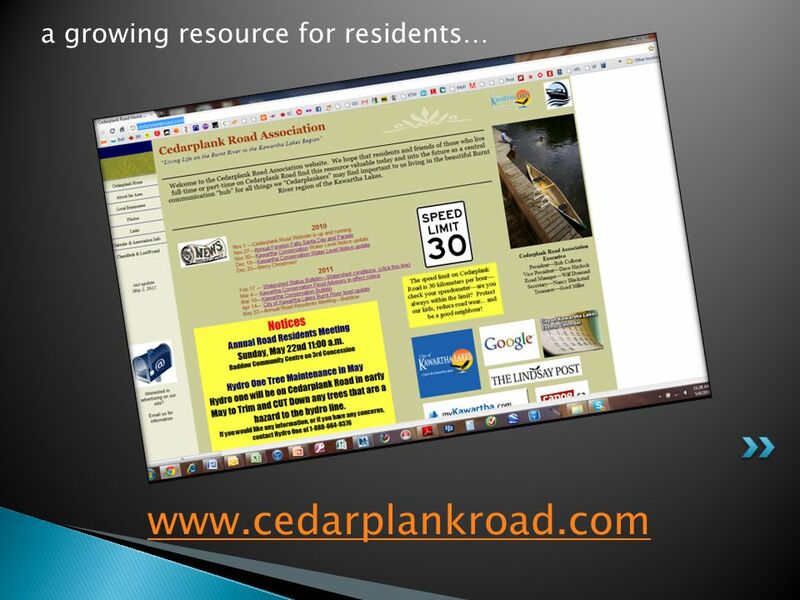 Agenda  Responsibilities of Board Officers  Nominations / Elections  Treasurer’s Report  State of the HOA  2012 Accomplishments. Copyright  Progressive Business Publications Blue Ridge Safety Association Safety Training Presentations Respirator Safety. 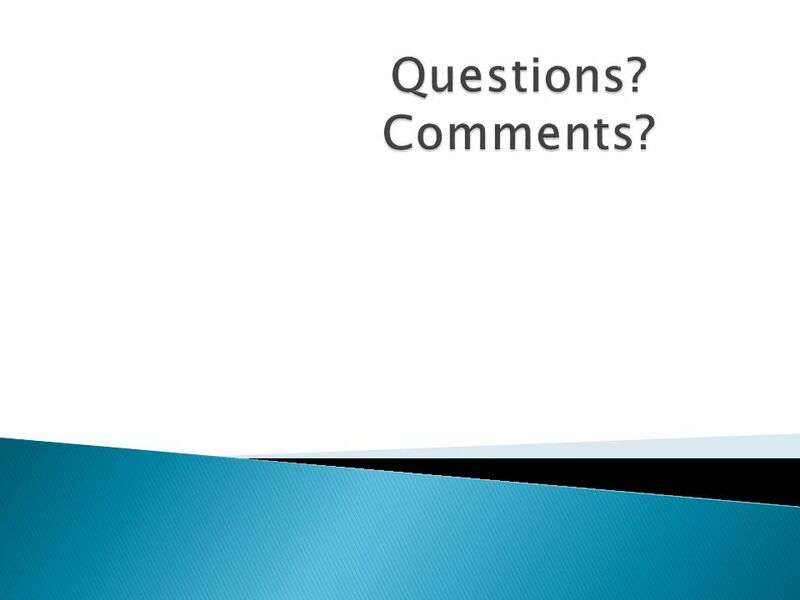 Bluebonnet Homeowners’ Association Inc. AGM Presentation April 16 th 2015. 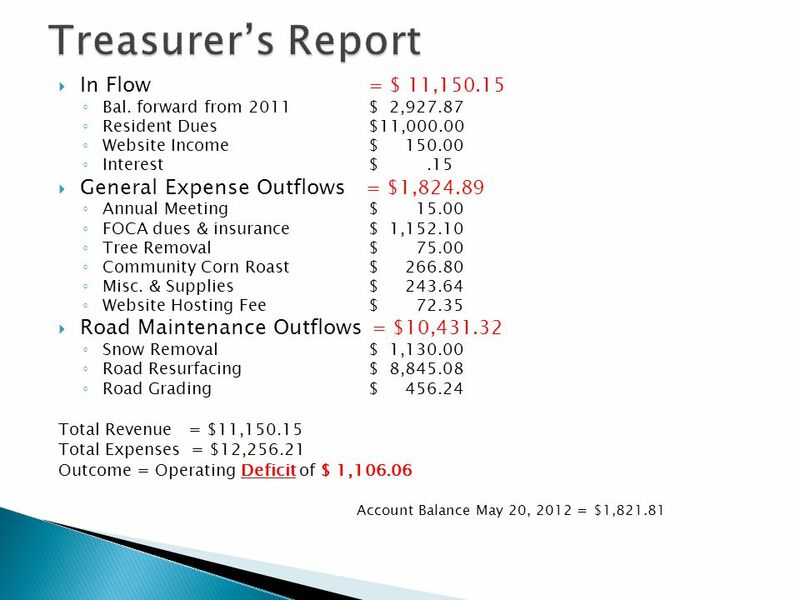 Financial Accounting Dave Ludwick, P.Eng, MBA, PMP Module 8 Cash Flow/Budget Analysis. PCHA Treasurer’s Report Plymouth Commons Homeowners’ Association 2009 Annual Association Meeting Treasurer's Report Rebecca Ufford February 16, 2009. Road safety. The Full Council support the class councillors in our school. We ensure the children in our school have a voice and are listened to. We meet. WELCOME! 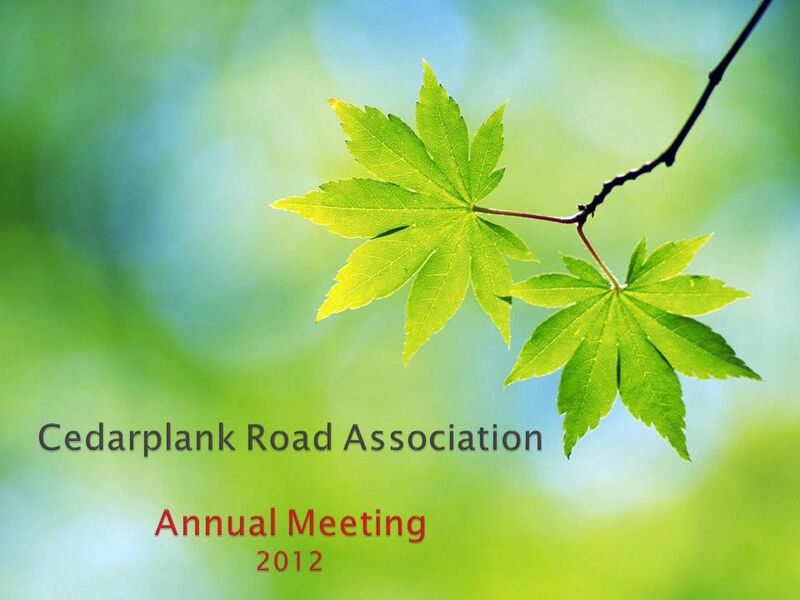 Annual Meeting Slideshow Presentation… 7:00 p.m. Call the meeting to order – Jerry Leeseberg, TEW BOD President Introductions & Determination. 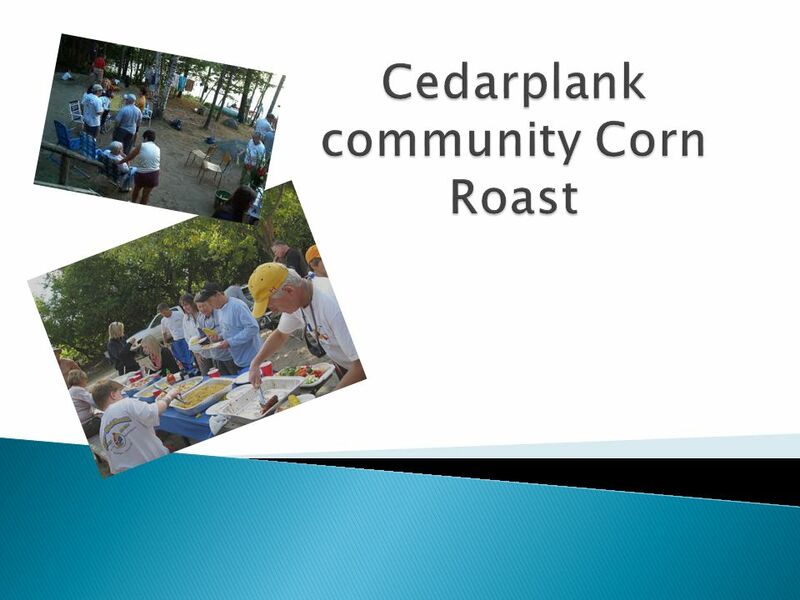 February 7, 2015 Welcome to the Indian Creek Recreation Club Annual Meeting!
. 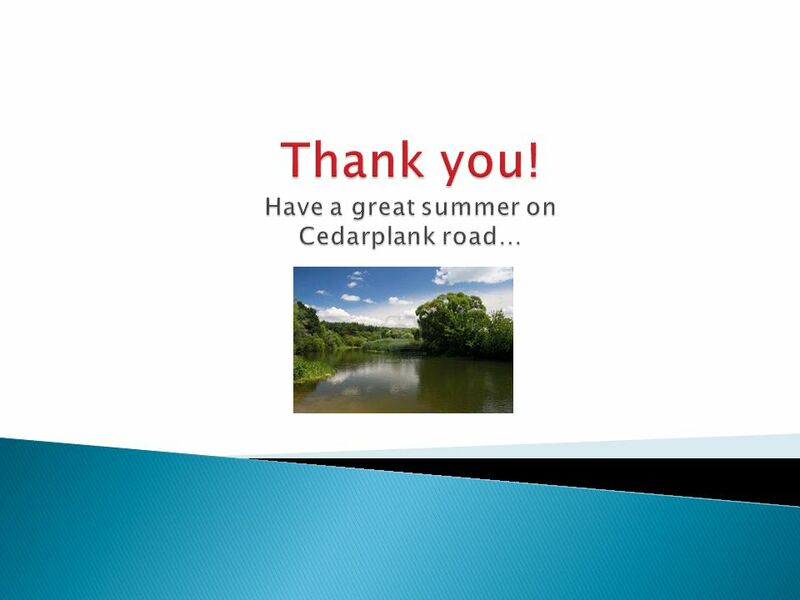 Pickard Oaks Homeowners’ Association, Inc. Annual Meeting December 1, 2014. IL SOS Online Safety Think Before You Click!. STOP. WELCOME TO GENESEO HILLS ANNUAL MEETING OCTOBER 18, 2012. Property Management Company Property Management Company The Jolicor Group.